Here’s the latest of my ‘mattresses in op-shops’ finds – a sunny 70s floral. The bathroom of my childhood home had wallpaper very similar to this. 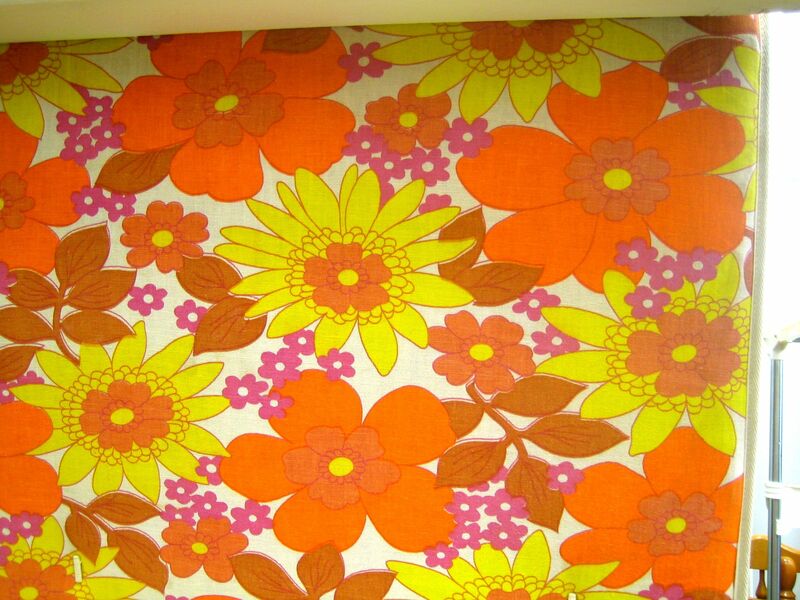 70s florals are like an instant time-travel to being a kid again for me. I invited lots of my my american flickr friends to the group, but one of them reported sadly that american op-shops don’t sell mattresses because of hygiene laws….can anyone stateside confirm that this is the case? My favourite photo in the pool so far is THIS ONE by talented local photographer Megan Young. It’s Mother’s Day and I just got a card with a ‘delightful’ drawing of a cute bunny with a dagger through it’s head from my 11 year old – aaah boy-humour. He also baked me a banana-cake with chocolate icing. I love that my hard work teaching him to cook all these years is paying off and he can now independently bake cakes! He gave it to me at about 7.30am and said ‘Can we eat it now?’. Um, no. I might as well have eaten cake for breakfast, mind you, because then I got presented with a stack of pancakes with banana and home-made raspberry jam. Lovely post. The title reminds me of the Michele Amas poem Daughter with a line something like : ‘she is sunny side up my girl’. Brilliant you with the cake-baking children. Here in the States, Federal Law requires mattresses that have been used to be marked as such (usually with a special tag). However, many States have much stricter laws in place that prohibit the selling or donation of used mattresses. I love old mattress fabrics too – I made some cards last year using mattress photos as backgrounds…got a few odd looks going round the inorganic collection taking photos of all the great fabric! I’ll add some photos to the flickr pool. Sometimes I daydream about owning a laundromat called the Sunny Side Up Laundrette!